After hitting us with the track “Zombie” a couple weeks ago, ATL rapper Key! 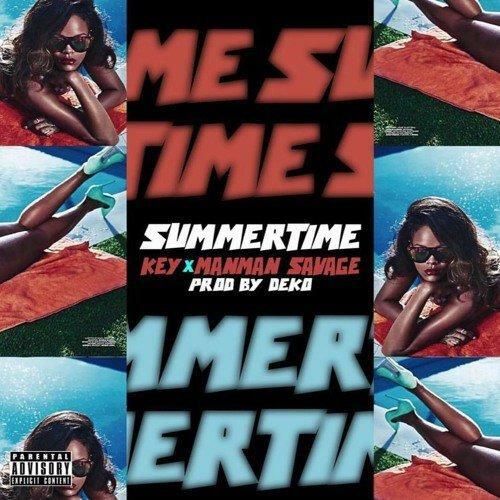 decides to return to the scene today on this 4th of July and share a new song & accompanying video called “Summertime” featuring ManMan Savage. Rather than showing off them summertime vibes as the title depicts, the two ATLiens break out the lawn chairs & post up on the corner block while a bad shorty twerks by their side in this Terrius Mykel-directed clip above. Check out the Deko-produced heater & let us know what you think. In other news, look for new music from Key! & D.R.A.M. to be on the way as well.